Ahead of Friday's clash with former club 1. FSV Mainz 05, the level-headed 22-year-old spoke exclusively to bundesliga.com about the Royal Blues' upward form curve, their renowned youth set-up and returning to the Coface Arena for the first time as a Schalke player. 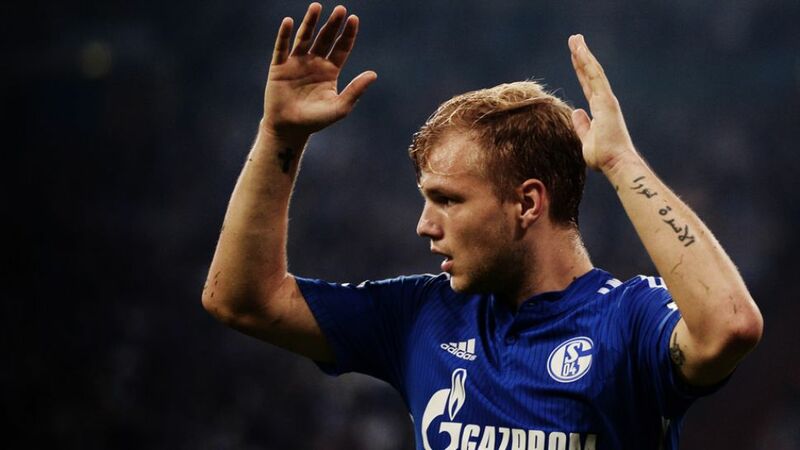 bundesliga.com: Johannes Geis, after two straight wins, Schalke are fourth, only two points behind third, and on track to qualify for the Champions League. What's behind your improvement in form? Geis: We've always said we're a young team that still has to develop. The first six months have been a process, in which we've gradually found our feet. Everyone knows exactly what he has to do. You can see that now on the pitch and in our results. We have to keep working hard and back up our recent results. bundesliga.com: On Friday you return to Mainz for the first time as a Schalke player. How will you be received by the fans? Geis: I didn't leave Mainz on bad terms. I think the Mainz fans appreciate that a player who's progressed sometimes wants to pursue new goals. The transfer also enabled the club to bring in new players. I'm definitely not expecting a frosty reception. bundesliga.com: Mainz are only three points behind Schalke. Did you think your former club were capable of that following the difficulties of last season and the departures of key players like yourself and [Shinji] Okazaki? Geis: I didn't think it'd be easy. You could see that at the beginning of the season, but I never doubted that Mainz could compete for the Europa League places. There's a fantastic team spirit, and the coach, Martin Schmidt, is doing a really good job. They've also brought in new players such as Yoshinori Muto and Jhon Cordoba, who have become leading lights in no time at all. And Yunus Malli is having such a good season that, for me, he's currently one of the best No.10s in the Bundesliga. bundesliga.com: What kind of game are you expecting? Geis: I know full well what goes down on a Friday night in Mainz when Schalke come to town! The lads will push us to our limits, I reckon it'll be on a knife-edge for a good while. The fight will decide the game. That's why we have to give it everything, just like in our last few matches.